4. Bring at least five hours of nutrition Minimum three-hour climb, Recovery at the summit and then nutrition for the long descent. The descent is not a high-speed descent because of the road conditions which you should note on your climb. There are sections were you can open it up as well, so to speak. 6. There is a stream coming through the rocks at about 4,000 feet elevation – drink at your own risk! 8. Bring a vest and arm/knee warmers and light full-fingered gloves as a minimum. I HIGHLY recommend wool! Standard issue of clothing if you wish to a summit bagger! 9. Unless you are a strong climber bring at least a 27 tooth cassette (11-27 or 11-28) or a compact crankset 50/34. I have done this climb with a 53/39 and 11-23 cassette but I wouldn’t recommend that for everyone. 10. Bring a buddy this is a remote climb, with closed roads to vehicular traffic, cell coverage is spotty to non-existent. I would go on the assumption that there’s isn’t cell coverage. Wildlife can and should be expected such as bears, deer and squirrels. Yes squirrels, they are dangerous because they are unpredictable and cross your path then double back across your path again – a recipe for disaster. 11. Bring plenty of flat repair- even though the road has been cleaned significantly over the years I have been doing this climb the roads are not maintained, frost heaves, potholes, plenty of loose rock, and falling rock are strewn along the highway. I bring tire boots but a spare tire is not a bad idea. 12. Be prepared to ride at least five hours without seeing another cyclist and once you pass the gated areas you won’t see any cars. 13. Descend with caution- it could be hours or even days before someone finds you! 15. Lastly enjoy the views they are spectacular! 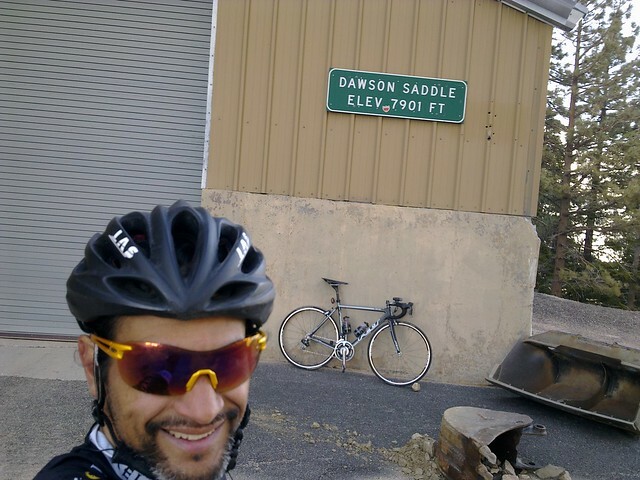 My ride yesterday was from Newport Beach to Dawson Saddle 168 miles with 11,000 + feet of climbing. I left Newport Beach close to 1pm. 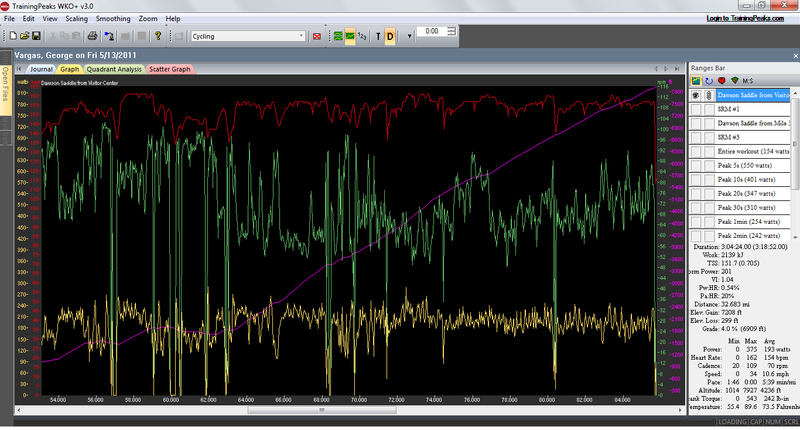 My plan was to do some night riding at the tail-end of my ride. I was stocked with 10 hours of nutrition. I ran out of fuel 9 hours into the ride. It took me almost 11 hours to get home. I bonked badly. 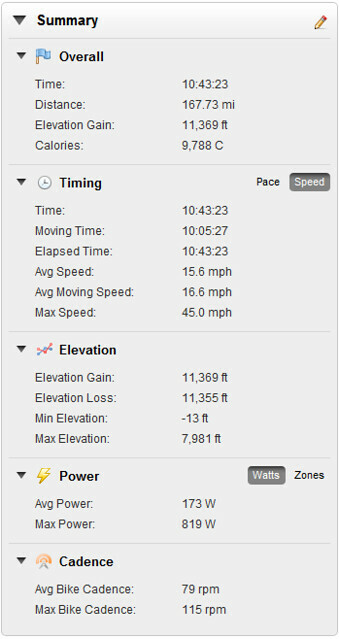 I rode 126 miles the day before and because of it I was much hungrier on this ride. My route was North on Pacific Coast Hwy (PCH) to Seal Beach and then the San Gabriel River Trail (SGRT) to Hwy 39 to Angeles Crest Hwy 2 to Dawson Saddle summit 7901 elevation. 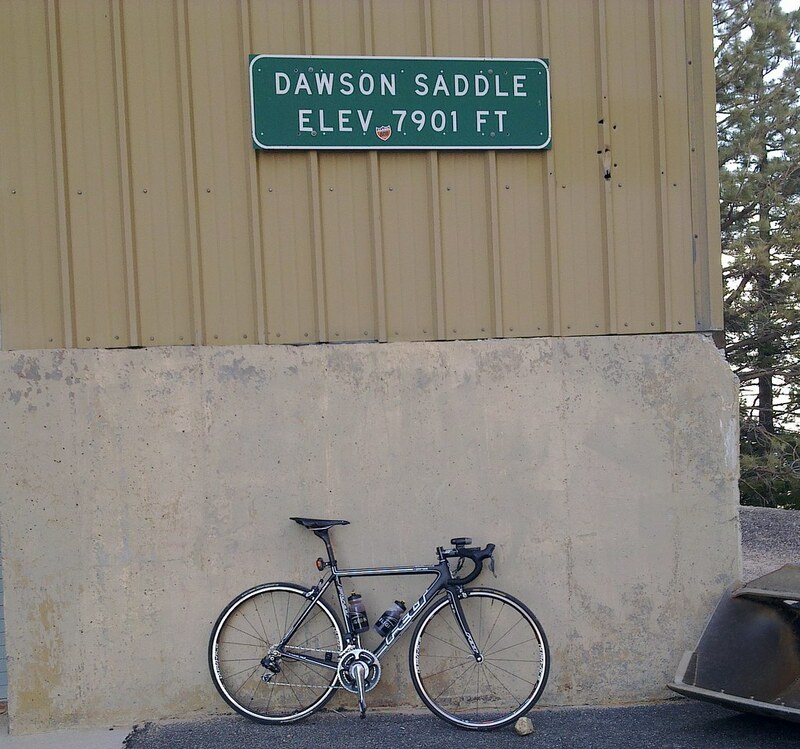 It’s important to mention that the Dawson Saddle summit is 84 miles into my ride. 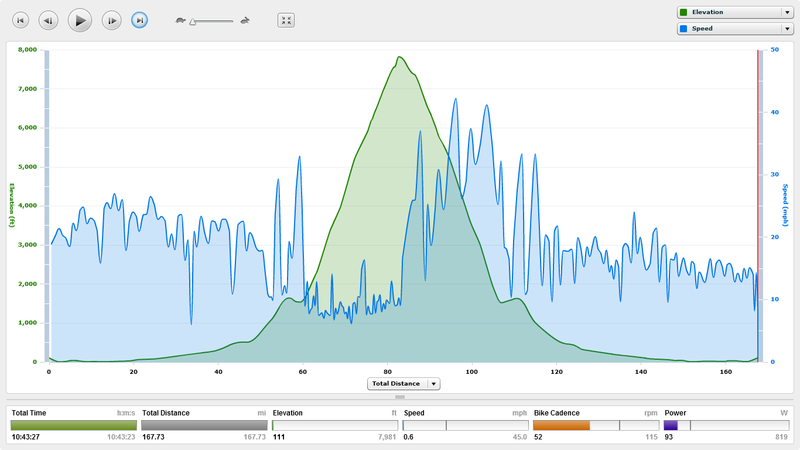 This climb is hard enough from Encanto Park where you get a couple miles of warm-up and just go. Now imagine starting this climb with 50 miles on your legs. Or how about this after summiting realizing you are still 84 miles from home. his ride is especially difficult SOLO and unsupported. You must carry enough fluids and nutrition from the start to a public restroom at mile 35.25 on the SGRT – about 50 miles for me. Then refuel and have enough fuel/fluids for the next 35 miles of climbing – at least 3 hours of climbing. You should have enough nutrition and fluids to have something at the summit and for your descent. The descent takes a little longer than normal because the road conditions are not ideal in certain areas. Basically you need enough of whatever you fancy for 70 miles with 3+ hours of hard climbing in a remote closed road section. Then once you refuel at the public restroom you need enough fluids/fuel to get you 35 miles back to PCH and then home if you don’t want to stop again. Can you say Epic Adventure?!?!?! Thank you for reading my blog. Please provide me with feedback as to whether you find this post useful before or after doing your climb. Please pass this blog on to your climbing friends. This entry was posted in California's Toughest Climbs, Dawson Saddle, Endurance Rides, Mountains by REV Cycling Directeur Sportif. Bookmark the permalink. George this is my local ride. We did this a few times to train for Breathless Agony. 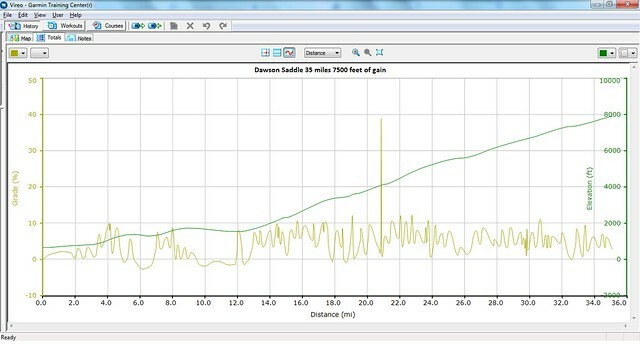 Your description is spot on and again I’m amazed at how fast you get these rides done. Just to let you know there is another place to get water. There is a ranger kiosk that sits in a large parking lot on the backside of this little station is a water spigot. Let the water run a minute before filling. The water doesn’t look good but a lot of us have been drinking it for years with no issues. The rangers don’t mind and even ofer it if you ask. We will be going up this route again next week on our tour bikes, mine will weigh in about 85 pounds so it’ll be very slow going for me. We will drop into the other side of the mountains and camp overnight then head back the next day. We almost always start from down the street from Encanto Park but it’s not a good idea to leave your car unattended over night there. Great report, George. For those cyclists who do stop, the lodge at Crystal Lake has a bib hose and sells H2O, Coke, and snacks when open. A couple of weeks ago, starting from Encanto, we turned back about 1 mile from Islip Saddle, as there were too many rocks on the road. There is also one short section of upper 39 that is unpaved/packed dirt. Is the gate at Islip (heading to Wrightwood) open? 1) Do you think the bike trail is safe in terms of the neighborhoods it is going through? 2) What is the condition of Angeles Crest Highway, according to CalTrans website it is still closed. I would assume no snow but lots of rocks on the road? Just past weekend I did a similar ride, Huntington Beach to Mount Baldy via Santa Ana River and Carbon Canyon, which you might like. Thank you for reading my blog. I appreciate you taking the time to post a comment as well. 1. I think the bike path is safe. 2. Angeles Crest Highway – the road surface is in good condition but you are correct there are a lot of rocks on the road. Please pass my blog on to your friends. Do you know the reason this road is closed to vehicles? Sounds like a great place to ride. Is the closure permanent? Encanto Park offers ample parking and restroom facilities. It is also conveniently placed next to a bike path that leads directly to Hwy 39. Have you seen my latest posts on the REV Endurance Cycling Team? Are you interested? I provide coaching along with lots of pro deals on bikes, clothing and equipment. If you are not interested please pass my blog on to someone that might be interested. Coldbrook Camprground on left has a water spigot. Not too many people know about this. It’s an oasis! 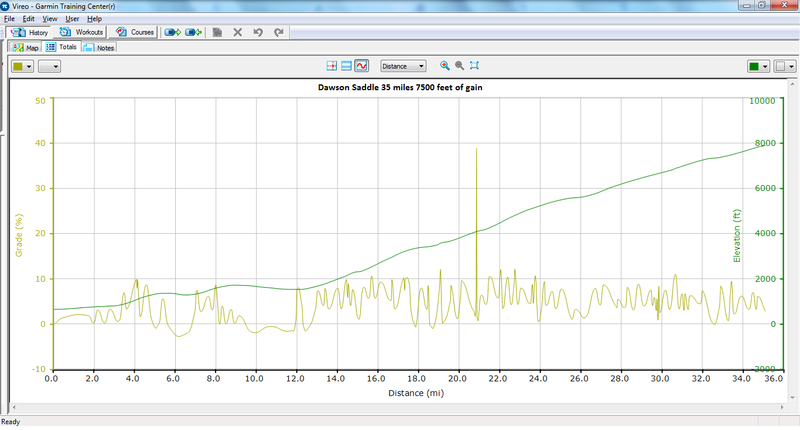 located at North 34 degrees, 17.428 by West 117 degrees, 50.445 at 3309 feet just after mile marker 32.12.